The original Tubescreamer achieved its place as an iconic overdrive in part, due to its ability to balance clean and distorted tones. Until now, this has was achieved by a 4558 op-amp section in the original circuit. However, in this new design the distortion is created not by clipping diodes, but by Nutube, just as would occur in any all tube pre-amp. The overdriven sound is then mixed with the clean signal and passed through a discrete circuit. 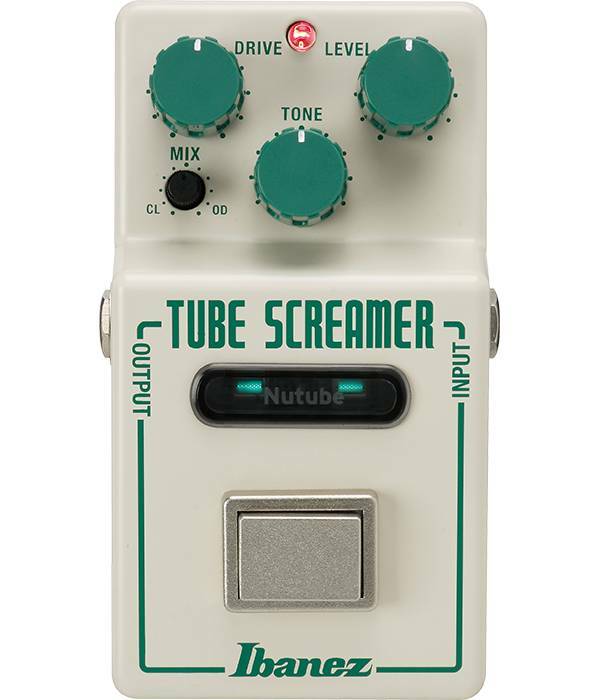 Thanks to Nutube technology and the reworked circuitry, the NU TUBESCREAMER's natural compression and huge headroom is immediately perceptible to any player who uses it. 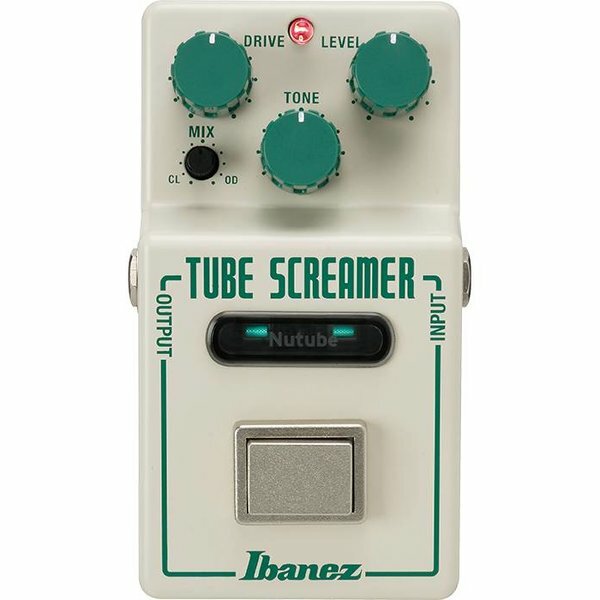 A brand new feature never previously offered on an Ibanez Tubescreamer, is a MIX knob that controls the balance of the clean and overdriven signals. The center position will create a mix equivalent to that of traditional Tubescreamers. Turning the knob counterclockwise, injects more of the clean signal while still retaining a traditional Tubescreamer mid boost. Turning it clockwise will decrease the clean tone and when fully clockwise, the clean tone disappears producing a fuller overdriven signal. NU TUBESCREAMER allows up to an 18V power supply. 18V would give you more headroom with increased volume.